The exercise is sponsored by NATO Secretary General and is jointly run by the International Staff, the International Military Staff and the two NATO Strategic Commands – Allied Command Operations and Allied Command Transformation. The Republic of Bulgaria was honored to be the host nation for the FPC, and the Ministry of Defence has requested the support of the Crisis Management and Disaster Response Centre of Excellence for the entire organization of this event. 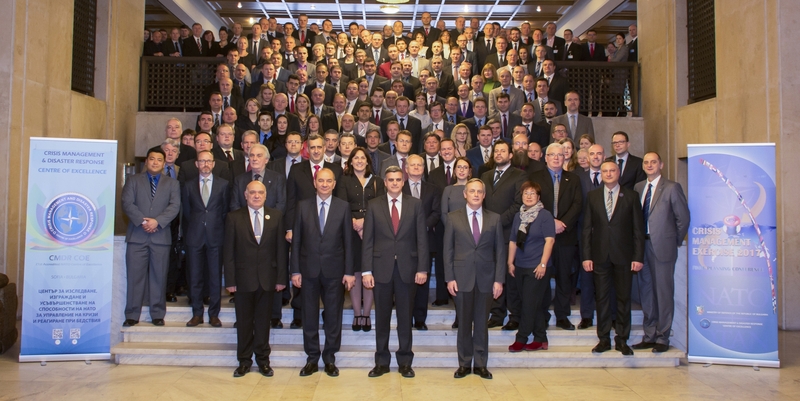 The CMX17 Final Planning Conference gathered more than 250 participants from 31 countries, both civilian and military staff members from NATO structures, NATO nations and invited partners – Finland, Montenegro, Sweden and the European Union. NATO CMX is designed to practice the Alliance’s crisis management procedures and systems at all levels, particularly decision-making at the strategic political-military level.